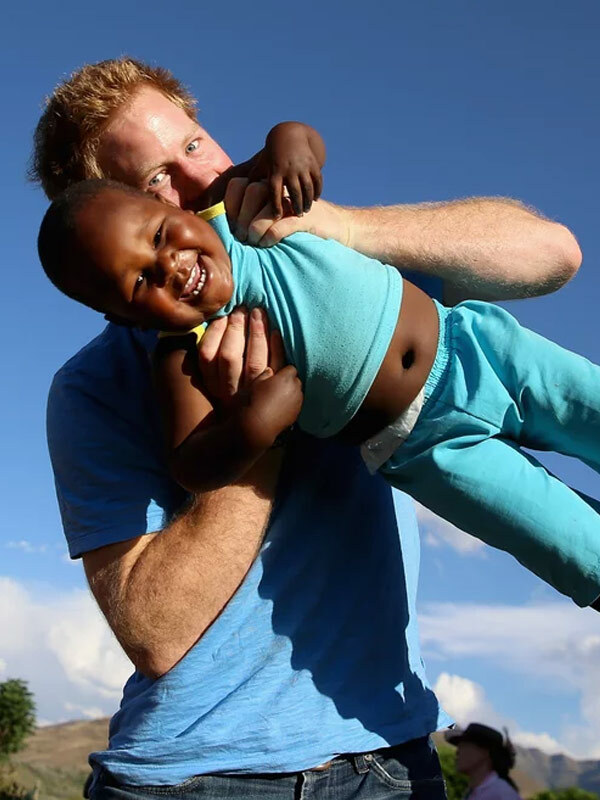 Brand-new, unseen photos of Prince Harry during his trip to Africa revealed! Prince Harry has inherited his mother's Midas touch. We always knew Prince Harry was a people person, but these never-before-seen photo of the royal really do prove it! Overnight, Kensington Palace released a series of new photos from his recent trip. "Last month The Duke of Sussex, @Sentebale Patron, made a private visit to Sentebale projects in Lesotho – today at @AIDS_conference in Amsterdam he will meet youth advocates driving change in the fight to end HIV/AIDS by 2030 #AIDS2018," the palace said in a tweet. And can we just say, Duchess Meghan's husband has us swooning! In the images, the beloved Prince shows off his paternal side as he plays with some of the local kids. The snaps show him with the kids of the Mamohato Children's Centre and Mamohato Children's Camp. In one touching snap, taken by royal photographer Chris Jackson, one cheeky youngster tries on Harry's sunglasses as the pair share a laugh. Kensington Palace confirmed Meghan was not on this trip. 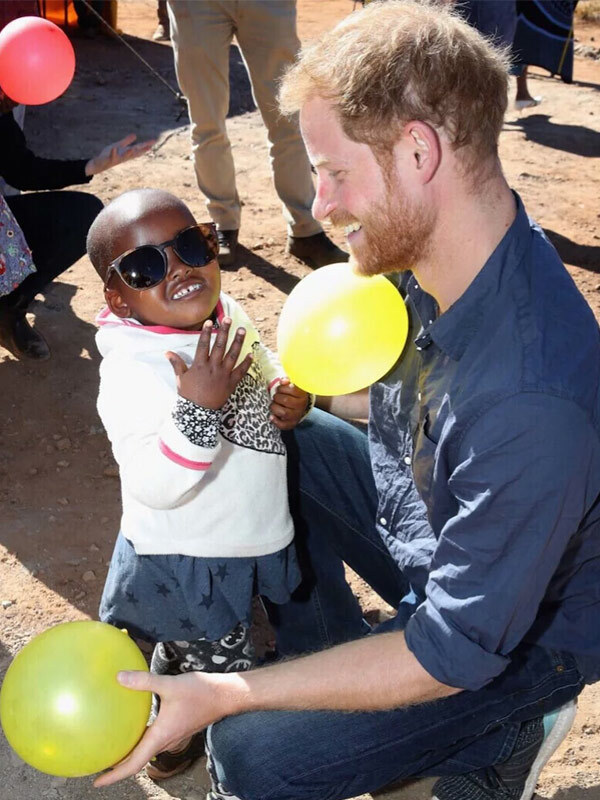 A spokesperson for the royal spoke out about Harry's visit to his "second home" of Africa, sharing, "The Duke was on a private visit to see the work of Sentebale at a camp for vulnerable children and young people, as well as other projects funded by the charity." "During his private working visit to Sentebale in Lesotho, The Duke visited one of Sentebale's community-led partners for the opening of a new dining hall. This was funded by the charity and will provide a space for children to eat together and have an indoor space to play." Lesotho holds huge significance for the 33-year-old, who first went to the African nation back in 2004 while he was on his gap year. The trip inspired him to co-found his Sentebale charity with his friend Prince Seeiso of Lesotho two years later in 2006. The charity is a combination of both of their mother's work - focusing on eradicating HIV - which in Africa has one of the highest rates.